All ages welcome! No age restrictions. THE SKYSTAR OBSERVATION WHEEL IS EQUIPPED WITH 36 CLIMATE-CONTROLLED GONDOLAS. EACH GONDOLA CAN HOLD UP TO 6 PEOPLE. GUESTS ARE TREATED TO SPECTACULAR VIEWS AS THEY SOAR NEARLY 15 STORIES OVER CINCINNATI'S RIVERFRONT PARK! Terms and Conditions: All purchases are final. No refunds can be issued at any time for any reason. Tickets expire 06/16/19. 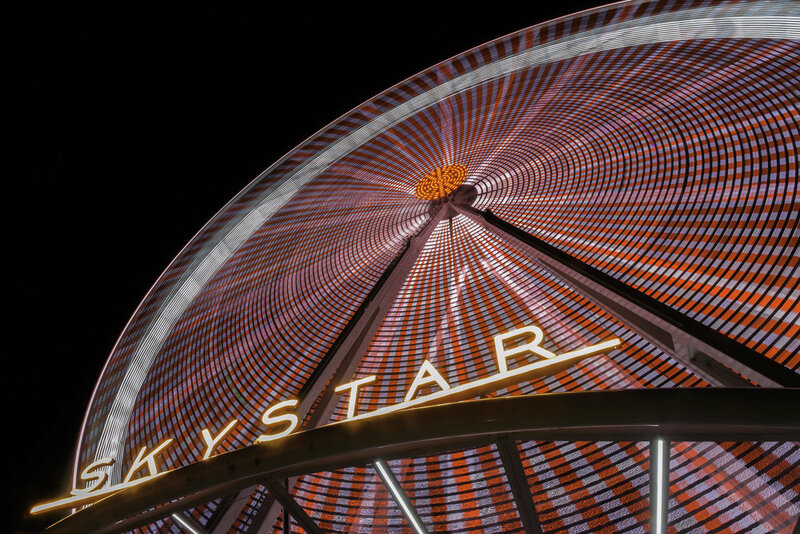 SkyStar Wheel may close due to weather or private events. Shipping and Handling: Tickets are to be purchased at our ticket window. Tickets will not be shipped.